Ilisu Dam’s construction may be continued after a 4 month halt! Stop Ilisu – stop destruction and instability! 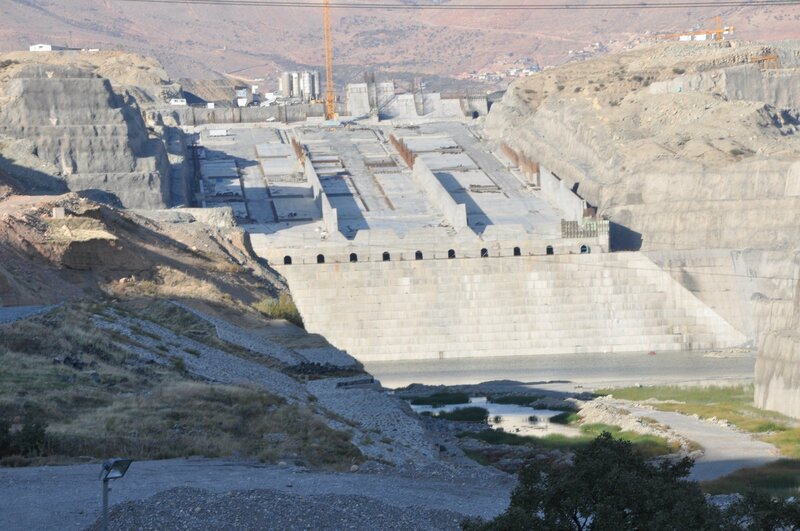 The Turkish State Hydraulic Works (DSI) has announced few days ago that after a four month break that the construction of the highly criticized Ilisu Dam and Hydroelectric Powerplant Project will continue immediately. If the construction starts again, the Ilisu Dam on the Tigris River may be finished next year which would lead to a huge social, cultural and ecological destruction and also a higher political instability. The Ilisu Dam, whose construction started fully in 2010 after a new finance has been ensured, has been halted in August 2014 after all workers resigned. 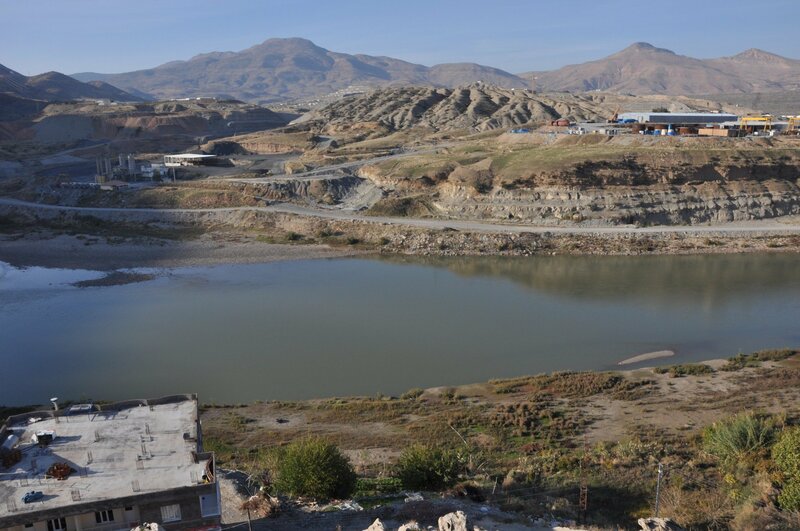 Previously two important contractors of the dam construction had been detained by the People’s Defending Forces (HPG). 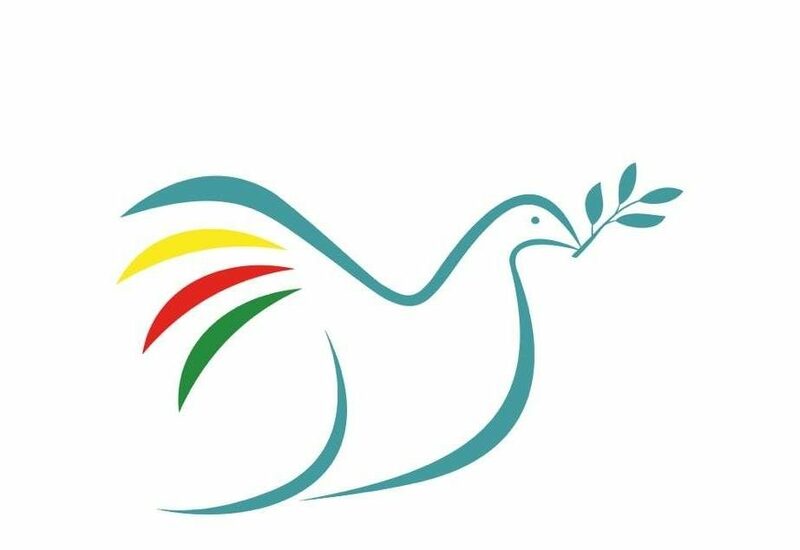 The PKK-Guerilla warned them not to continue with their involvement in the Ilisu Dam Project and released them after a few days. Among others, the PKK considers the Ilisu Dam as a tool against itself that deepens the assimilation of the Kurdish culture. 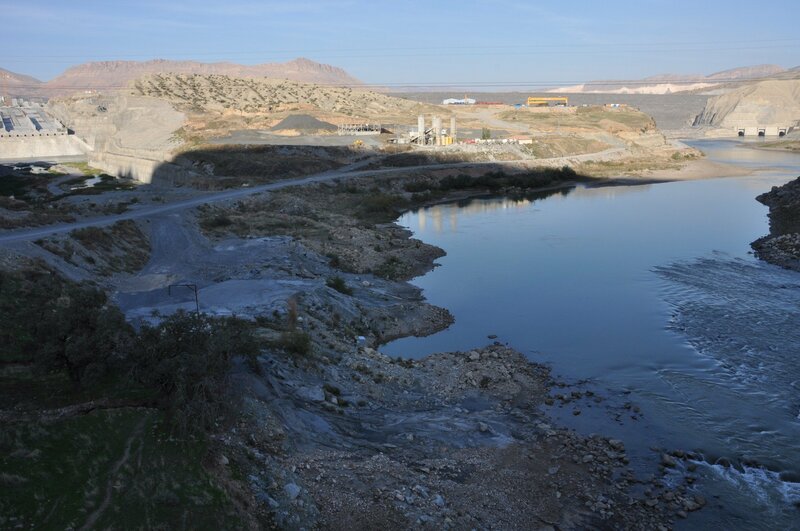 After the resignation of the workers in August 2014 the dam construction was completely interrupted. According to the DSI 80 percent of the dam had been completed before the interruption. Some meters of the altitude of the dam body, a part of the spillway and the most work of the hydroelectric power plant have been not finished yet. The DSI informed that if the construction restarts the dam site would be protected by higher number of soldiers than before. Also all transportation of construction material to the dam site would be protected by the military. 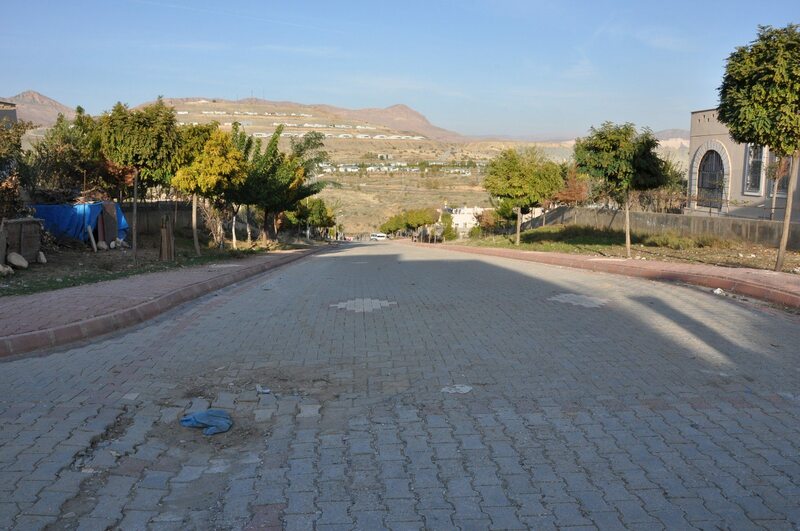 A visit to the site in the mid November 2014 by our Initiative stated that the resettled people of the Ilisu village live in bad conditions. They are in debt because the new houses are twice more expensive than the old ones. They used to have some job opportunities during the construction period, but now they do not know how to earn money. There are no income opportunities – particulary because they have no land anymore – in their neighbourhood. The social infrastructure is poor. Almost none of the promises has been realized. There is only an elementary school and a children’s playground that have been built. Today almost nobody from the 45 households in Ilisu consider the Ilisu Dam as a positive investment. In the regional context all affected local authorities expressed since 2006 that they do not want the Ilisu Dam Project. However, the central government started to build this dam despite the majority of the regional population. We urge the DSI to consider that continuing the Ilisu Dam which would be disaster for 80.000 directly affected people and more people in the broader region. The unique nature and extraordinary cultural heritage would be destroyed in an irreversable way. 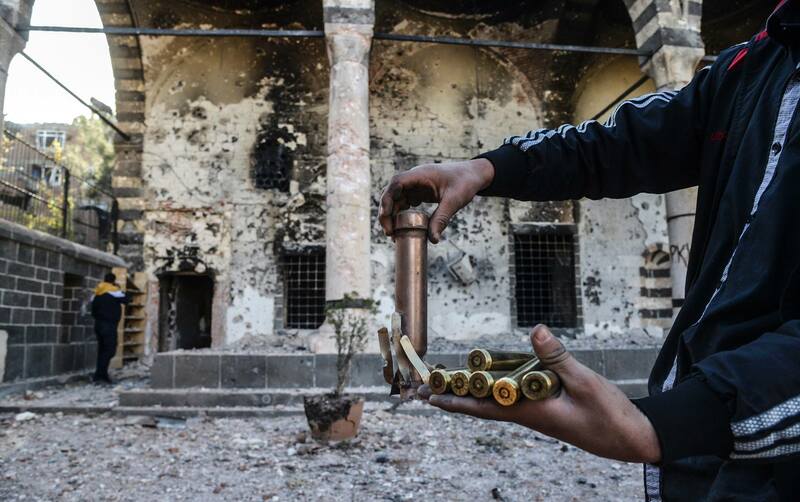 It would also lead to political instability in Turkey because a military intervention of the PKK may be repeated. This may affect negatively the ongoing negotiation process between the Turkish government and the PKK. Also Iraq would be affected. The ongoing war within the last months between the different powers shows how the large water infrastructure projects could increase the conflict potential. There is no other project in Turkey like the Ilisu Dam in terms of its potential for destruction and creating instability. 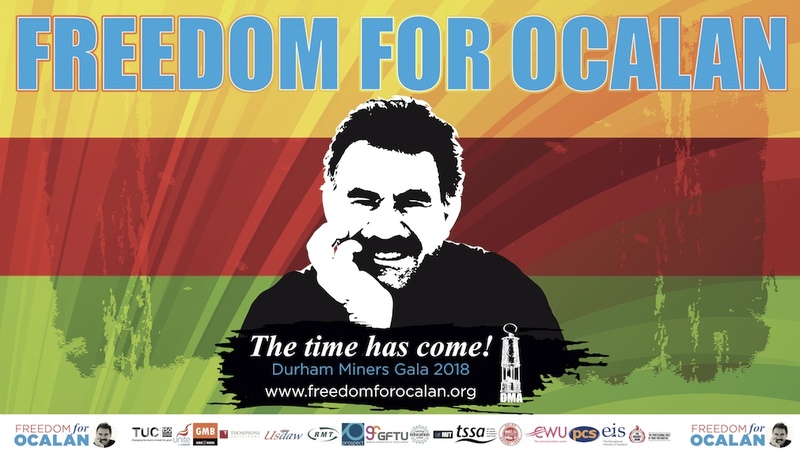 Consequently we call particularly on the civil society and policy makers in Turkey, Iraq, the Middle East and Europe to protest the decision of DSI to continue with this project which would have benefits only for some companies and the narrow interests of Turkey to a regional power. Political pressure on Turkey is more necessary than ever. In the attachment are the photos taken during the visit to the Ilisu Dam site in mid November 2014. If needed we have them in higher size. We encourage you to publish them with the copyright of our Initiative.